Touted as Washington State's official waterfall, this 198-foot fall is easily one of the most scenic and dramatic waterfalls in the country. Views from the parking lot level are flat and easily navigable for everyone. Unofficial trails leading into the canyon, marked by signs, are rocky and a bit hazardous in some places. Exploring the canyon beyond the parking lot level trails will take some time that you most certainly will want to spend. Be careful about the steep drop offs. Situated about four hours east of Seattle, this state park is home to Washington's official state waterfall, Palouse Falls. Oddly enough, the drive from Seattle gives no indication that you will happen upon such a massive waterfall at any point in time. Save for the crossing of the Columbia River in Vantage, there is little trace of natural water sources along the route. 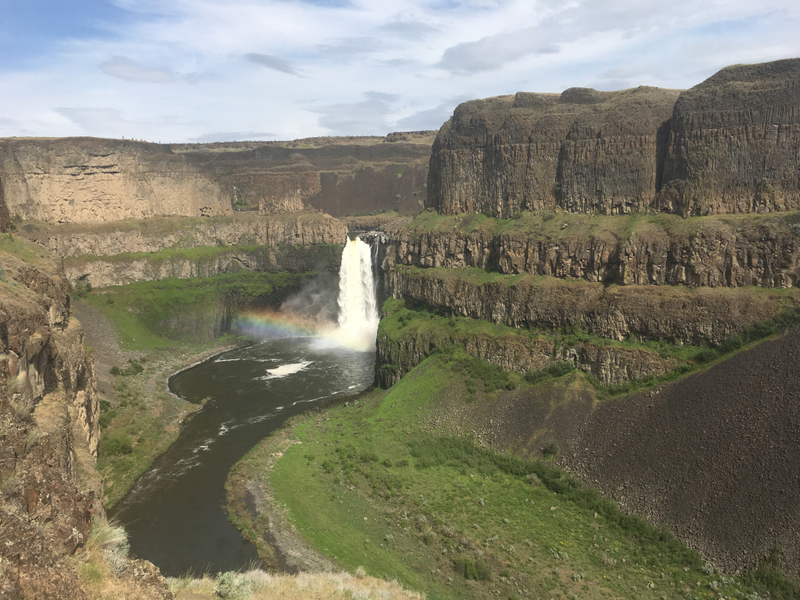 You'll pass through seemingly endless, flat farmlands and desert biomes that are reminiscent of the Midwest, and then, from nothing, Palouse Falls unveils itself in all its glory. The roughly 200 foot tall waterfall is the clear star of the show in this park. From the main parking lot, you can see the waterfall and a bit of the canyon. Most of the panoramic vistas are protected with chain link fences, making it fairly safe. If you are feeling adventurous and are moderately in shape, we recommend exploring the paths leading into the canyon. They are not officiated by the State Park, but are heavily trafficked and navigable. To get there, follow the trailhead to the left of the canyon about a third of a mile. There you will begin the gentle descent adjacent to the railroad. You can see a path about fifty yards ahead that cuts down the rocky slope. The rest of the connecting trails are clearly visible and will take you to just about every area around the falls. Bring a lunch and sit by the base of the waterfall, take a swim in the cool river water, and sit back to watch locals try their hand at fishing. There is also another route that you can take to get out of the canyon, if you're looking to use a different path. From the initial canyon entry trail described above, walk to the top of the waterfall and make a right to navigate the perimeter of the basin. Walk that path for about half a mile with the falls on your left. You will come to the other side with two paths to get back up to the railroad level to connect to the parking lot. The one that immediately hugs the canyon wall is steep and rocky, so we wouldn't recommend small children or dogs on it. The other crosses a slope of rocks that runs parallel to the railroad. Take a right at the end to a smoother incline to the railroad. 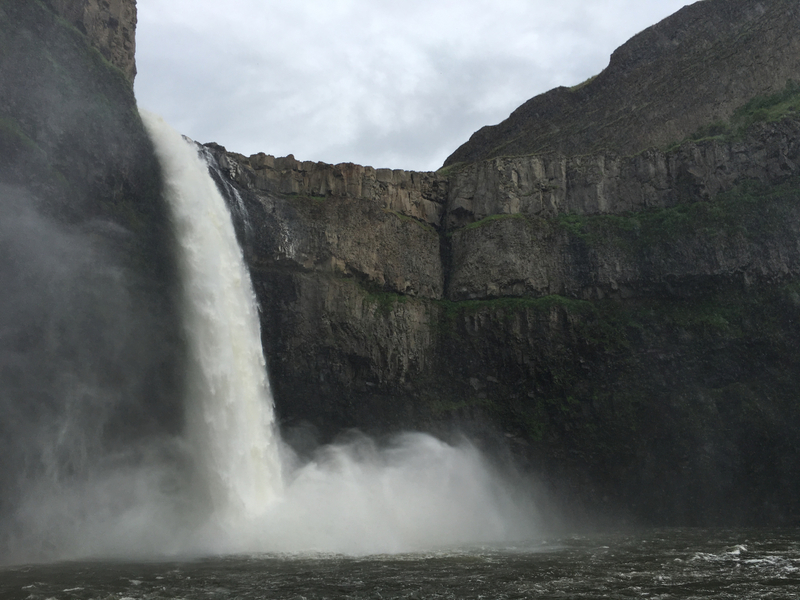 The canyon was carved out thousands of years ago during the Missoula Floods at the end of the last Ice Age. The waters exposed the underlying basalt columns that compose the ground. These hexagonal structures line the walls of the canyon and even protrude in some flat outcroppings giving the terrain more radical topography. Basalt also has a porous texture making it excellent for rock climbers. There are some online forums that say there are a handful of bolted routes in the canyon, but we haven't seen them to confirm this. Aside from that, most of the walls seem to have some loose pebbles, so it may not be the best or safest place to climb. Check out nearby Vantage for cleaner, more established basalt column climbing. Fun fact: Tyler Bradt set a world record by paddling his kayak over the falls in 2009 at 186 feet. The next highest waterfall record was about 60 feet shorter. It is a great destination for anyone with an affinity for waterfalls, scenic views, and easy to moderate hikes. There will probably be other people around at all times since it is a popular place, but there is enough space to not feel crowded. If you bring children or dogs, keep them close. There are many exposed areas that have steep drops into the canyon. Additionally, there is a first come first served campground with toilets, picnic tables, and marked water spigots. Take an overnight trip to see the light of the sunset dance on the walls of the canyon, and wake up to the sounds of the rushing waterfall. From Seattle, take I-90 East for about 134 miles. Take exit 137 to merge onto WA-26 East (just across the Columbia River bridge). Drive on WA-26 East for about 83 miles. Turn right onto Main Street and drive through the town of Washtucna. The town is very small and in a valley, so be alert around the 80 mile mark. Drive on Main Street for 6.4 miles. Turn left on WA-261 South, and drive 8.7 miles. 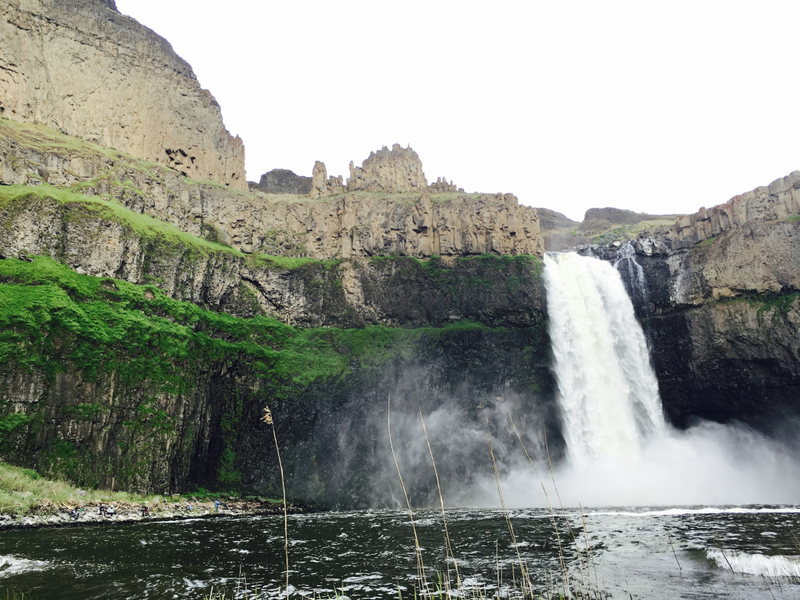 Turn left onto Palouse Falls Road, and drive about 2.5 miles to the parking lot. *Note: there is a gas station and some restaurants in Vantage, the exit right before you cross the Columbia River. This is about the halfway point. Civilization is sparse on this trip, so gas up and get supplies when you can. There are a few other towns on either side of Vantage, but they are widely spread.